We keep our kids more than satisfied with cool traditional games, toys, and activities. Our game tables and up-to-date video game systems are a great added bonus to keep the fun going. Seasonal physical activities such as basketball, capture-the-flag, & soccer (to name a few) satisfies that active itch in all of us. 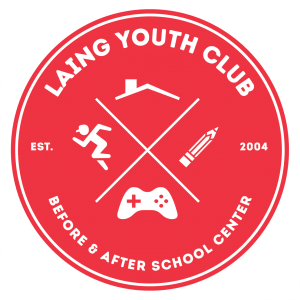 Add that in addition to our arts and crafts, field trips, and tons of new friends – you’ll see why LYC is the place to be! No babies or toddlers here. Your child will find comfort and confidence in knowing that they are not in “day-care”, but rather an after school club with friends who are just like them. Whether kicking back in a recliner or laughing it up on a sofa, our home-like atmosphere provides a much needed recharge after a busy school day. We make the most out of the time your child is with us. Homework time is provided for all children to receive academic assistance from qualified staff. Through fun exercises we create a family friendly environment that encourages positive behavior, great health habits, and nurtures responsibility skills.